When it comes to gadgets, I am definitely a fan of the ASUS brand. The ASUS F9F and ASUS K55V are my trusted partners for all my laptop needs. 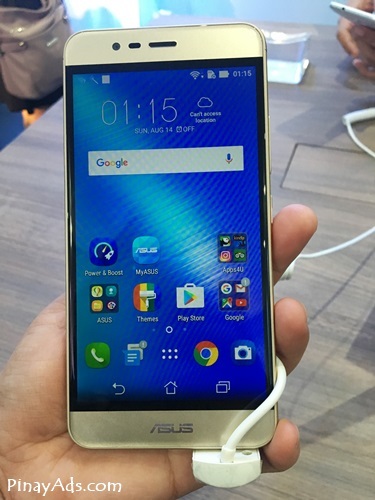 I am also impressed with the performance of my ASUS Zenfone 2 Laser. 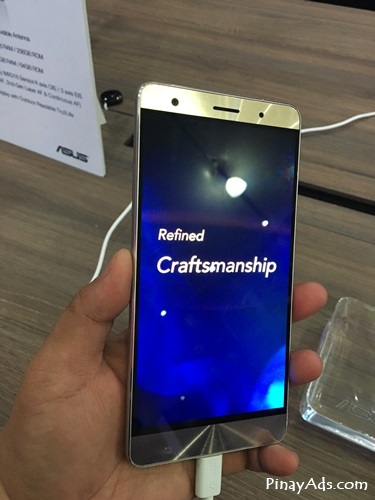 Like any happy customer, I was very excited to hear about new ASUS products like the Zenfone 3. 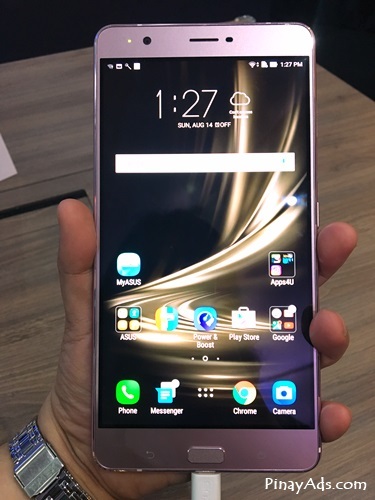 The Zenfone series was launched at Computex early this year but it wasn’t available in the Philippines yet. So when they announced the Philippine launch of ASUS Zenvolution 2016, I knew this was one event that I wouldn’t want to miss. Tickets for the event were not available. I took my chance by joining the contest in the Zenvolution facebook page. And it was just my luck to win a Lolliflash plus a ticket to the ASUS Zenvolution 2016! On top of that, I also got invited to the Zenvolution as a media representative two weeks before the event. The ASUS Zenvolution in the Philippines was scheduled last August 14, 3:00 pm at Sofitel Philippine Plaza Hotel. The weather did not cooperate that day but it did not faze us. We have long waited for this event so we braved the rains and traveled from Antipolo to Pasay. I was a good thing that there was no traffic on the road or we might’ve ended up wet and cranky at the event. We got there early and fans were already queuing outside the venue as early as 12:00nn. Finally, the gates were opened and we all trooped inside to get a glimpse of the latest revolution of ASUS products. 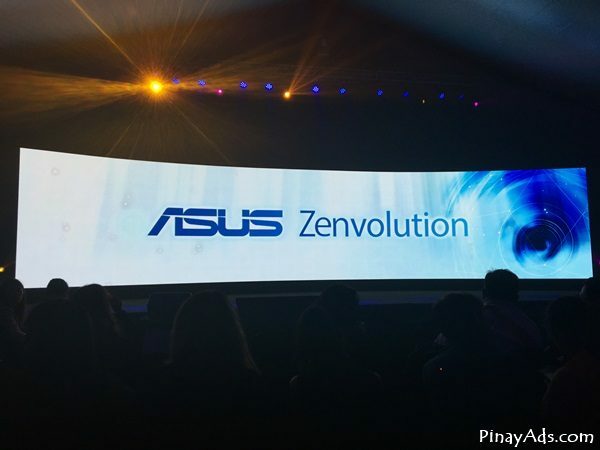 The ASUS Zenvolution 2016 is considered as one of the biggest tech events in the country today. 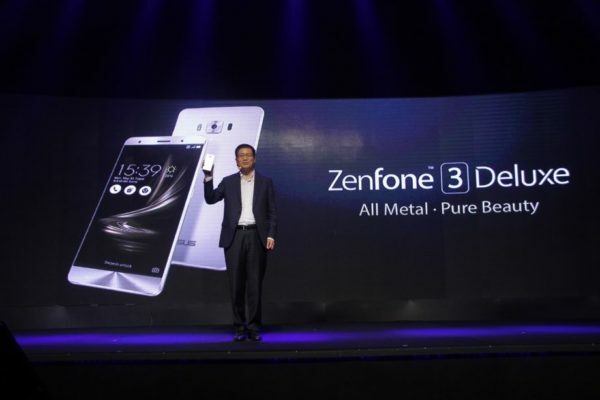 ASUS Global CEO Jerry Shen led the unveiling of their all-new Zenfone 3, Zenfone 3 Deluxe, and Zenfone 3 Ultra. Mr. Shen presented the ZenFone 3 Max and ZenFone 3 Laser to the excited ASUS fans. 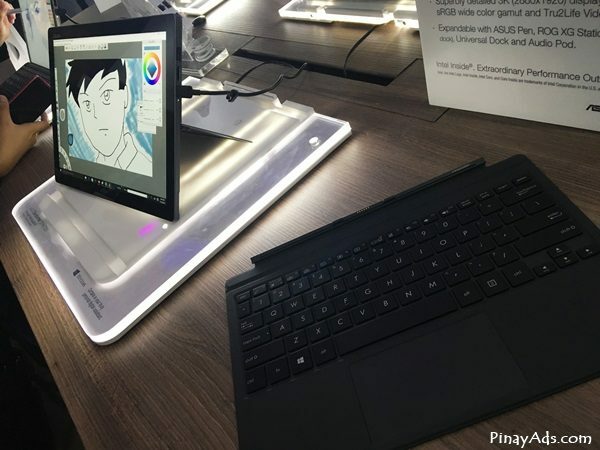 Mr. George Su, ASUS Philippine Systems Group Country Manager, showcased the all-new ASUS ZenBook 3 notebook, the ASUS Transformer 3 and ASUS Transformer 3 Pro 2-in-1 PCs. 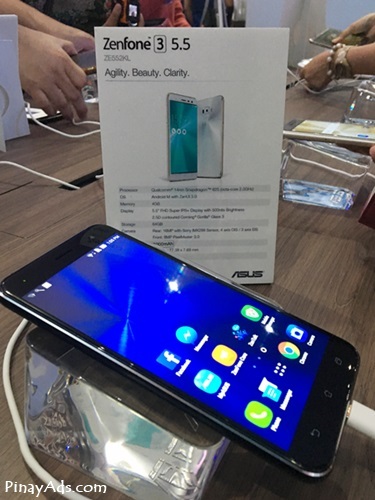 According to Mr. Jerry Shen, the Zenfone 3 series has become a global sensation after its debut at Computex this year. He also expressed his appreciation for the continued loyalty and support of all their dealers, media partners and consumers in the Philippines. If you like the phone but lack the budget for it, then the Zenfone 3 Laser and Zenphone Max might be the one for you. 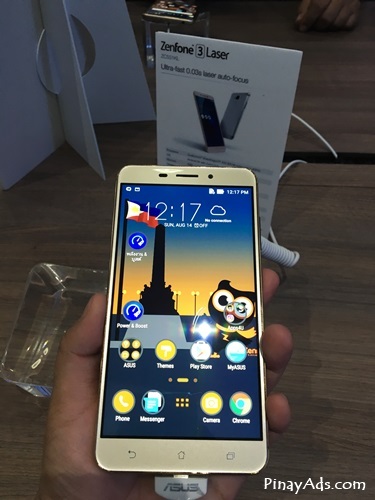 Both these phones are intended for the Philippine market, specifically the consumers with conservative budgets. The ZenFone 3 Laser features a 5.5 inch display, 4GB of RAM, 32 GB of internal storage, and a 13-megapixel camera. You can get it for only Php11,995. The smaller Zenfone 3 Max has a 5.2 inch display with a striking 4100 mAh battery. It is available for only P8,995. 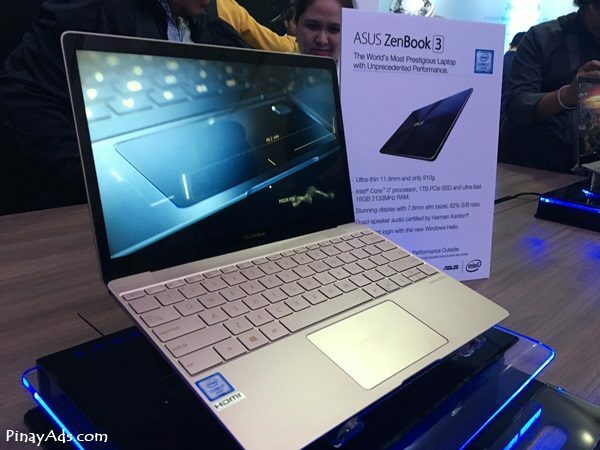 Aside from cool smartphones, fans can also look forward to upgraded features in the latest ASUS notebook and laptops. The ASUS ZenBook 3, ASUS Transformer 3 Pro, ASUS Transformer 3 is the next trio that will give you a new experience a new level of convenience in mobile technology. To say that ZenBook 3 is a new generation of ZenBook is a huge understatement — it’s ZenBook reimagined for the next era of mobile computing. Every single precision component and every elegantly crafted detail has been completely re-engineered and redesigned to make ZenBook 3 the most sophisticated ZenBook yet. It’s lighter, thinner, stronger, impossibly powerful — and utterly beautiful. Simply, it’s the world’s most incredible laptop. Say hello to ZenBook 3. ASUS Transformer 3 Pro was designed with one purpose in mind: to give you performance you never thought possible in a 2-in-1. It’s unbelievably powerful, amazingly convenient — and also incredibly expandable. Connect ROG XG Station 2 for gaming-grade graphics, experience awesome audio with the Audio Pod, be productive with the Universal Dock and be creative with the ASUS Pen. 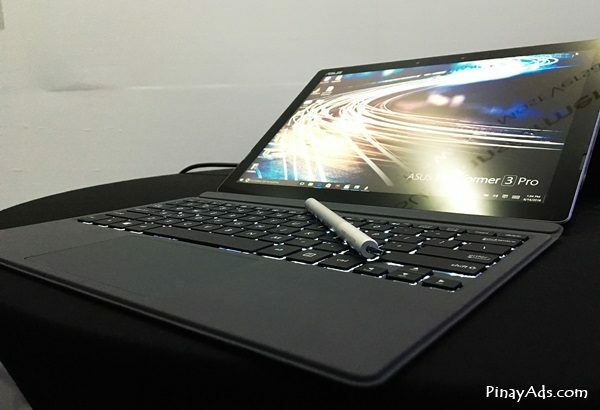 ASUS Transformer 3 Pro is much more than just a 2-in-1 — it’s a mobile powerhouse. When you look at ASUS Transformer 3, you’re seeing evolution in action. Crafted from the finest materials and expertly engineered to be as thin and light as possible, ASUS Transformer 3 gives you ultimate mobility, total convenience, and amazing expandability — giving you endless possibilities! Be creative with the ASUS Pen. Enjoy music with the Audio Pod. Game with ROG XG Station 2. Be productive with the Universal Dock. Do more. Do it better. Do it with ASUS Transformer 3. 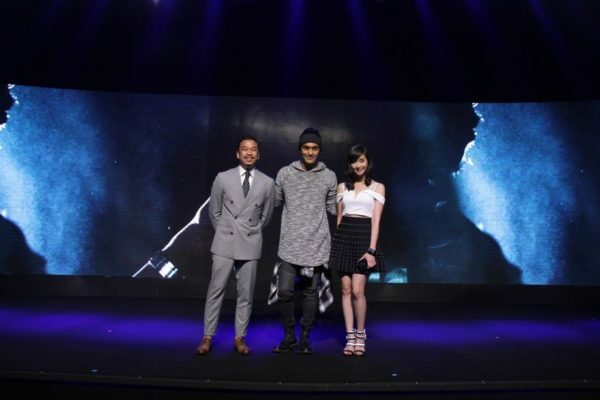 The presentation of Zenfone 3 ambassadors was another highlight in the ASUS Zenvolution 2016. Wedding videographer and visual storyteller Jason Magbanua was chosen for the Zenfone 3 Deluxe. Filipina cosplayer, model, TV presenter, singer, gamer and actress Alodia Gosiengfiao is the ambassadress for Zenfone 3 Max. Filipino dancer, actor, musician, host, percussionist, drummer, choreographer, and commercial model Gab Valenciano represents Zenfone 3 Ultra. Each brand ambassador has a unique individual style admired by their fans. This showcases the versatility of the new ASUS ZenFone 3 to meet the demands of outstanding individuals no matter how different they are. 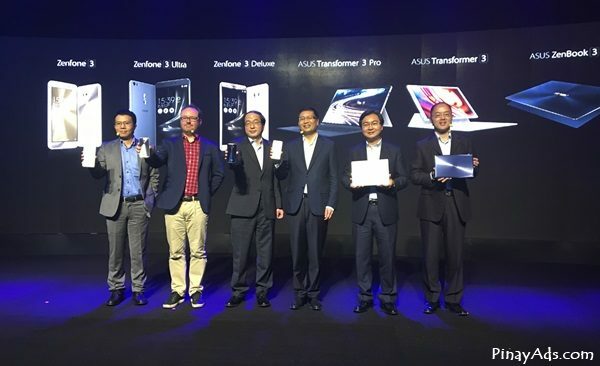 Top executives of Asus Global and Asus Philippines unveil the new Asus ZenFone 3 smartphones and Asus ZenBook and Asus Transformer 3 during the Zenvolution event. (L-R) Asus Head of Product Management Alvin Chou; Asus Head of Mobile Marketing Erik Hermanson; Asus Corporate Vice President Eric Chen; Asus Global CEO Jerry Shen, Asus Regional Director for East Asia Kevin Lin; and Asus Philippines Country Manager George Su. After the program, everyone was encouraged to try the products. There was really no need to prod us because we were already eager to get our hands on these new gadgets. I was impressed with the event and all the new products that they presented. The ASUS Zenvolution 2016 is definitely an incredible experience for us. We all had fun trying out all the products in the events and I can’t wait to share my impressions with you.